Hockey’s experiment with a three-week World Cup is turning out to be a big yawn for the competing teams, whose coaches have been compelled to find ways to keep the boys engaged and also ensure peak performance throughout the tournament. “When to peak” is a question that haunts most sports coaches, but in the men’s Hockey World Cup it has assumed interesting dimensions, reducing the difference between the top teams and those in the second rung. Top coaches have confessed to The Hockey Insider that fitness issues and injuries are easier negotiated by second-rung teams. Thus, peak athleticism is not a yardstick in the tournament. The performance gap between teams had already shrunk when the traditional playing time of 70 minutes was reduced to 60 minutes and the two halves got divided into four quarters. Now with three to six days available between preliminary round-robin league games, the time for recovery is no longer a major concern. But for elite players, it also brings in lethargy that could prove to be a bane in future tournaments where the gap between games will be just one or two days. There is plenty of recovery time available, but for the elite sides and their coaches the big yawns are proving to be a major concern. Coaches are seeking extra practice sessions and also finding training facilities within the confines of the respective hotels. Only some European players, who are writing exams, are welcoming the extra rest days. The elite tag for the tournament has already taken a beating with the field expanded to 16 teams with very few contenders left out. 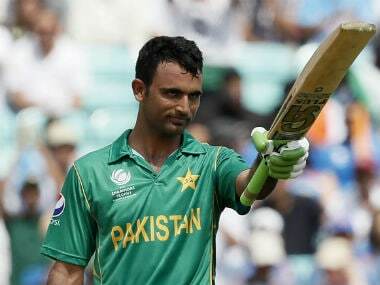 The benchmark to qualify for the World Cup was so low that Pakistan and China booked passage with just one win in the preliminary league of the World League Semifinals to ensure they made the grade. France too had just one win in the preliminary pool competition at the other World League Semifinals in Johannesburg. But the French also had a draw to show for and were required to beat Egypt in the play-off for the seventh and eighth positions. Imagine Egypt were counting themselves “unlucky” for missing the trip to the World Cup! After all, they only lost both the playoffs for positions between fifth and eighth. How big a joke this qualifying process had been reduced to could be gauged from the fact that two participating teams in last year’s Hockey World League Semifinals have come through to the World Cup with just one victory in the preliminary competition. Four-time World Cup champions Pakistan, who had missed qualification for the 2014 World Cup as well as the 2016 Olympics, made no bones about the fact that they needed just one win to earn the ticket to Bhubaneswar. Pakistan coach Khawaja Junaid, a former Olympian, was sacked for the team’s poor show on return from the London World League Semifinals even as the team celebrated their return to the Word Cup after eight years. In all, 15 of the 20 teams participating in the World League Semifinals were assured qualification — eight from the London edition and seven from the tournament staged in Johannesburg. Such examples of intensity in the qualifying process are not easily matched in the international sport. And still they call it the World Cup! 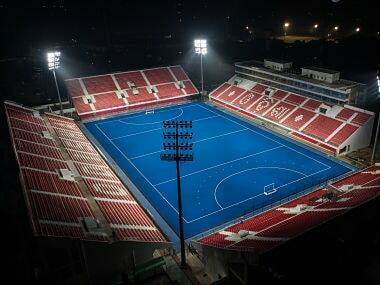 The wonderful organisation called the International Hockey Federation (FIH) is now pondering over the possibility of expanding the World Cup field to 24 nations. Not sure if that is what the FIH considers a bright idea! The new format has been welcomed by most coaches, what with the cross-over dimension forcing teams to take all preliminary pool matches seriously. The Women’s World Cup played under the same format and with the same number of teams was played over 16 days, from 21 July to 5 August, 2018. The preliminary groups for 16 teams ended in nine days, unlike the drag of 12 days at the men’s World Cup. What prompted this imaginative scheduling is not something the FIH bosses want to talk about. In a digital world, where every other person has the ability and wherewithal to record your tactics on a mobile phone, coaches of hockey teams also face a big test of keeping their tactics under wraps even when they train in full view of hundreds. The practice-session woes of teams have grown manifold since the pitches are open from all sides. There are hundreds standing on the periphery of the pitch, including some other teams. Generally the training sessions have been light workouts by dividing the squad into two small groups and playing on half-size pitches. For most coaches and their wards, the drills had been well-rehearsed back home. Just getting the feel of the pitch was the essence of the training sessions ahead of the World Cup. Between games, the training programme is focused on physical workouts and rudimentary drills. Most tactics being the regular stuff, but the real craft, or test, is to hide the penalty corner drills, both in their execution and defence.